To celebrate its sixth anniversary this weekend, Fort Myers Brewing Company is introducing more than a dozen limited-edition specialty beers, some of which might only be flowing from the tap for a few hours. Noon to 2 p.m.: Salted Caramel Strong, Toasted Coconut, Addytude – Raspberry Wheat and Oktoberfest Lager. 2:15 to 4:15 p.m.: I Like Piña Coladas, Fuego 5 – Mango Habanero IPA, PB&J and Maple Bourbon BA Bubblin’ Crude. 4:30 to 6:30 p.m.: Enigma IPA, Cleat Chaser – Pink Peppercorn Saison, Vanilla Porter and Mr. C’s Coffee & Biscotti Stout. 6:45 to 8:45 p.m.: Tart Like a Tiger – Prickly Pear Gose, Double Your Pleasure – Double IPA, S’mores-ish and Somebody Else’s Dream – Chocolate Stout. 9 to 11 p.m.: Barley Wine, ESB, Sister Hazelnut and Caramel Macchiato. Thursday: Anniversary IPA, Watermelon Gose, Juniper Lime Saison, Weizenbock and ESB. Friday: Anniversary IPA, Tart Like a Tiger Prickly Pear Gose, Strawberry Wheat, Norwegian Farmhouse Ale and Weizenbock. Saturday: Anniversary IPA, Mr. Brightside – Salted Lime Gose, Get Lei’D – Pineapple Pils, Mango IPA, Strong Blonde blend and Dirty Ginger blend. Sunday: An assortment of specialty beers will be available. Classic brews that also will be available this weekend include City of Palms Pils, Vienna Lager, Gateway Gold Blonde Ale, Sand Loafer American Wheat, Red Tape American Amber, Saison, Belgian Tripel, High 5 IPA, Clean Shave IPA, OYA – DIPA, Resilience IPA, Cypress Strong American Strong Ale, Start Early Stout, Chocolate Peanut Butter Porter, Bubblin’ Crude Russian Imperial Stout, Guest Tap – Cider and Guest Tap – Nitro Shake Chocolate Porter. Food trucks, live bands, a beer mile fun run and hangover party round out the weekend’s activities. For more information about the event, please follow “Fort Myers Brewing Company” on Facebook or call 239-313-6576. 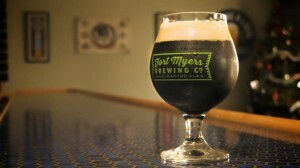 Established in 2013, Fort Myers Brewing Company was the first microbrewery to open in Lee County and continues to lead Southwest Florida’s surging craft beer movement. Founded by Rob Whyte and Jen Gratz-Whyte, Fort Myers Brewing carries a signature line of flagship beers in addition to seasonal brews and small batch specialties. Its ales, pilsners, stouts and IPAs are winners of multiple prestigious awards, including golds at the Best Florida Beer Championships and a silver at the 2018 World Beer Cup. Fort Myers Brewing was named “Best Brewery in Florida” in 2016. The brewery is located at 12811 Commerce Lakes Drive, Suite 28, in Fort Myers. For more information, visit FMbrew.com or call 239-313-6576.